Popular Post from Master’s Hand Collection! Do you ever feel like you don’t know what day it is? You think it’s Tuesday but it’s really Wednesday. That’s because we do the same things over and over again every day. So much so, that the days start to blend into each other. We may think that today won’t be any different, it will be the same old hum-drum day we always have. But God has a plan for today and He can take a seemingly ordinary day and turn it into a reason to rejoice. He can change the entire course of our lives or someone else’s with a chance meeting at the right time. God is a master at creating these “chance” encounters and they are never just a coincidence. Or God can take our ordinary day and show us His amazing grace and mercy by touching our hearts in a special and unexpected way. No matter what happens, God is in control of our day and He has given us a reason to rejoice and be glad in it. We’ve been talking a lot about context at church lately and looking at how it pertains to some of the most quoted verses of the Bible. Our verse for today, Psalm 118:24 is one of these verses. It talks about the day the Lord has made and rejoicing in it. But to get the whole picture of what God is telling us, we should also read the verses just before and just after our verse. There are a couple of things to examine within the context of this passage of scripture. 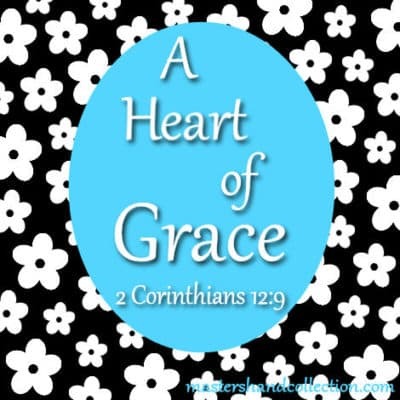 You probably already know this verse by heart because it is used as a popular memory verse. Jesus is the chief cornerstone talked about here and He quoted this verse Himself in Matthew 21:42. 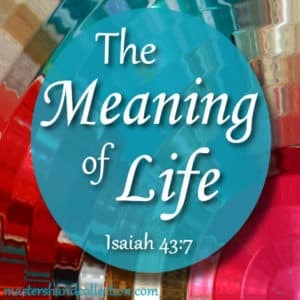 Within the context of our verse, we can see exactly what the Lord has given us to rejoice about. During the time of David, the people were eagerly awaiting the arrival of the promised Messiah and the sacrifice that He would provide for their sins. This day that they were looking forward to, would be a perfect day, a day of celebration and rejoicing. When that day finally came and Jesus arrived on the scene, the Jewish leaders rejected Him. They couldn’t see how a lowly carpenter could be God’s Own Son or how a man from the ghetto of Nazareth could possibly be the conquering hero they were looking for. Even though the chief cornerstone was rejected, it was God’s doing. He had a plan for that day. A plan that allowed us, the Gentiles of the world to share in the saving grace of Jesus. We can look back now on this part of history and see how God’s truth and prophecy was fulfilled by the coming of the Messiah and His death on a cross. It was a day to rejoice in, then and now! In the verses just after ours, we can see the promise of another day of great rejoicing. These are the words that the crowd shouted as Jesus entered Jerusalem in Matthew 21:9. They praised God and rejoiced in the fulfillment of His promise. When Jesus was rejected and crucified, the Old Testament prophecy was fulfilled. 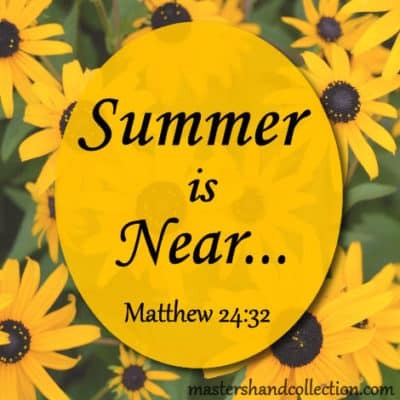 Jesus said these same words again in Matthew 23:39 referring to His ascension into heaven and giving us something else to look forward to, His second coming. This is the day that we are eagerly awaiting right now! On that day it will be our turn to shout “Blessed is he who comes in the name of the Lord!” What a glorious day it will be when Jesus takes His rightful place and rules over this earth! It will be a perfect day, a day to rejoice and praise our Savior. 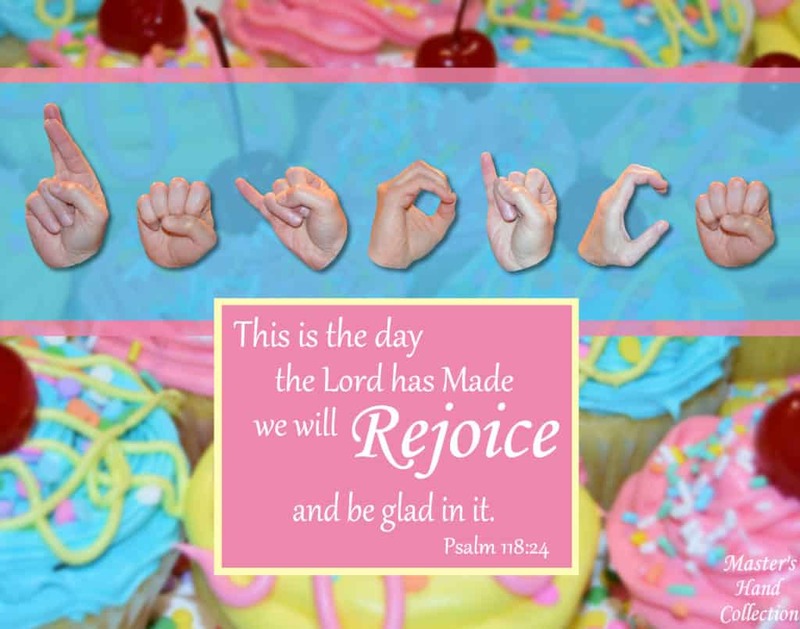 Yes, we should rejoice today, because God has given us another day to sing His praises. We can look back on the day when Jesus died on a cross and rejoice that our sins are forgiven. And we can look forward to the day when Jesus will come again, knowing that it will be a reason to rejoice! Now is the time to leave the past behind and move forward. 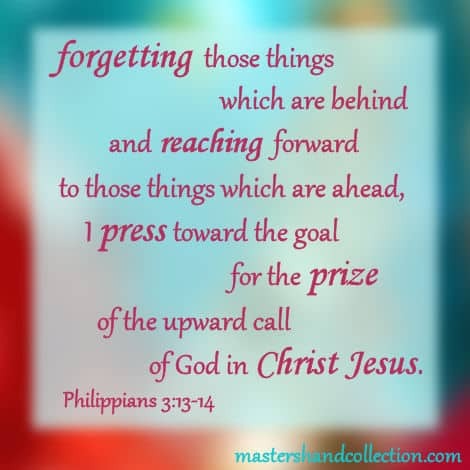 And this Bible verse about pressing on gives us the goal to do just that. No matter what your reason for wanting to move on is, God is always for you and never against you. He will give you the strength to set aside any failure, hardship, or pain you have. Look to Him and press on! Have you read this Post from Master’s Hand Collection? 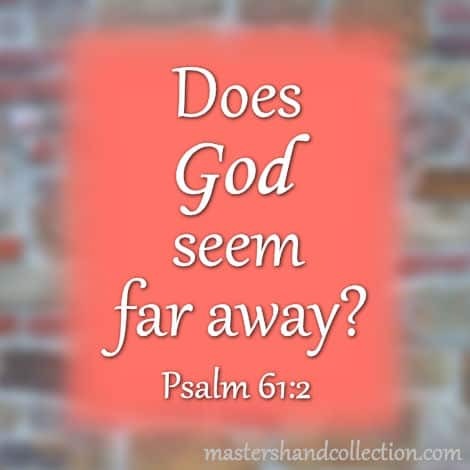 Does God seem far away from you? 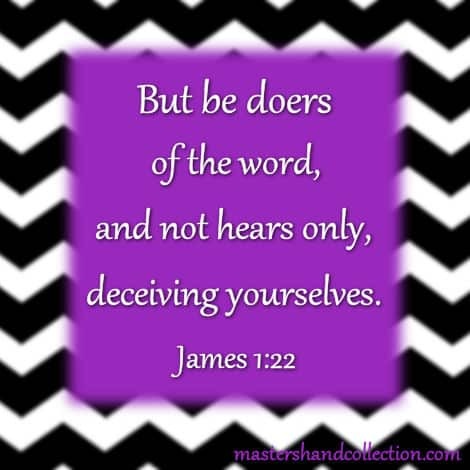 Do you feel like your prayers aren’t being heard? Is your heart overwhelmed by sadness and pain? We’ve all felt like the closeness we long to have with God is elusive. But we’re in good company because even David, a man after God’s own heart, felt the same way we do. There will be times in our lives when God seems far away. 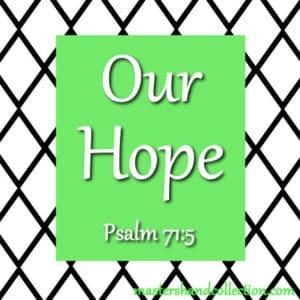 We may be discouraged and feel that God has abandoned us in our time of need. But David’s psalm is a reminder to all believers that in our despair God is faithful. So, let’s dig deeper into what God has to say to us today. David’s longing to hear from God is echoed in our own lives. He asked God to hear his prayer and to answer him. But for some reason, David didn’t feel like God was listening. I have experienced times in my life, where it seemed like God was very silent. During these silent times, I want more than anything to hear from God. I pray “just tell me what to do and I’ll do it”, and the response I get back is crickets. The silence is deafening and seems to go on forever. 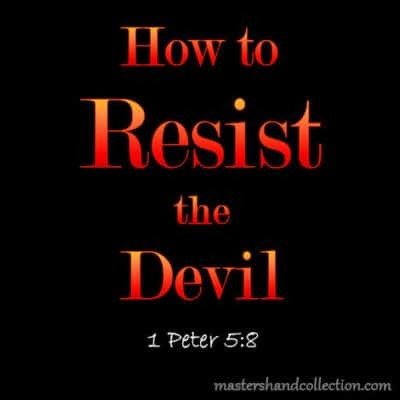 But we can rest assured that God will not remain silent forever. 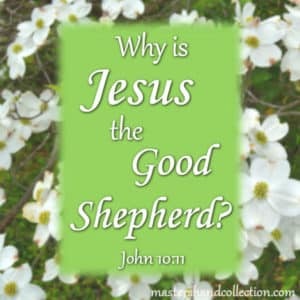 We are His children and our pain does not go unnoticed. He hears us when we pray and He sees us when we cry. David may have been a little overly dramatic when he wrote these words, but haven’t we all stretched the truth a time or two. I think we can all relate to David feeling like God was far away from him at the end of the earth. Sometimes it feels like God’s just out of our reach and no matter how far we travel we can’t get to Him. We wonder where He has gone to and why He has left us all alone. But God has not moved and He has not changed. He is exactly the same as He was when we felt the closest to Him. 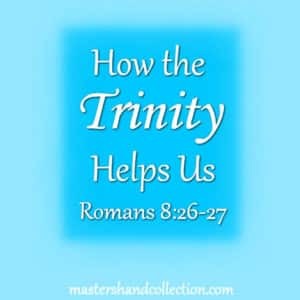 Our perception of our closeness with God is the only thing that has changed. But our emotions can play tricks on us. They can cause us to twist the truth in our minds to fit what we are feeling at the time. Just because we don’t “feel” close to God doesn’t mean that we aren’t. Thankfully God has given us insight, through His word, into who He is and the promise that He will never change and He will never leave us. When we feel like God is far away from us, all we have to do is read His word. If we search for Him, we will find Him. And you will seek Me, and find Me, when you search for Me with all your heart. When my mom died, I learned what it means to be truly heartbroken. She was not only my mom but also my best friend. David described this feeling perfectly when he said his heart was overwhelmed. It’s a feeling of total hopelessness and grief, that nothing will ever be okay again. It completely consumes you from the inside out leaving you empty. For a while after my mom’s death, I was so overcome by emotion that I didn’t know what to do with it all. The flood of tears from deep down inside of me just wouldn’t stop. The grief left me feeling overwhelmed and worn down. Have you felt this way too? Maybe you’ve lost a loved one, or you’re in the midst of a crisis that seems impossible to get through. If your heart is broken and overwhelmed, here is God’s promise to you. Trying to get from one side of a raging river to the other side all alone is an impossible task. You just can’t do it by yourself. The waters are too strong and you will be pulled under in no time at all. So, you have to look for something to help you cross the river, like a huge rock to stand on. Every day, we are faced with a world full of metaphorical raging rivers to cross. And just like we can’t face a real river on our own, we can’t face life’s rivers alone either. 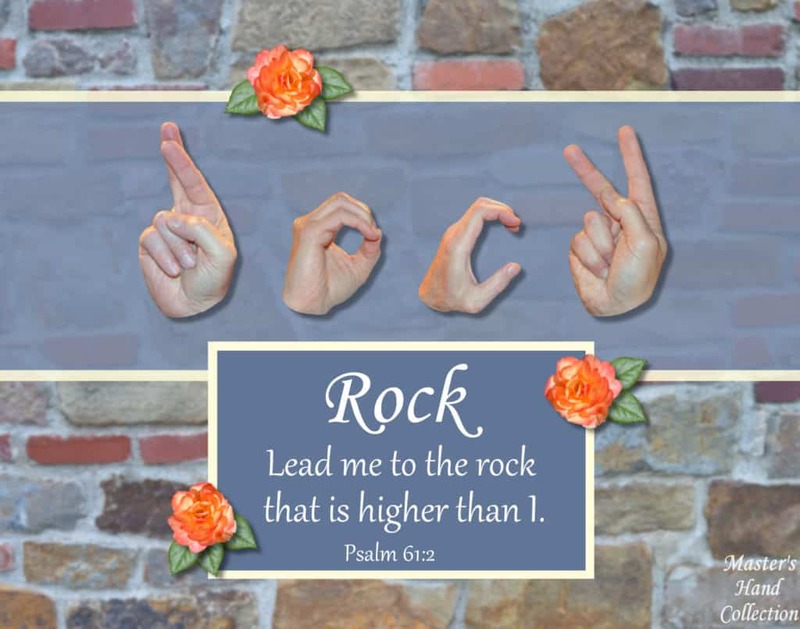 God is our rock and firm ground. 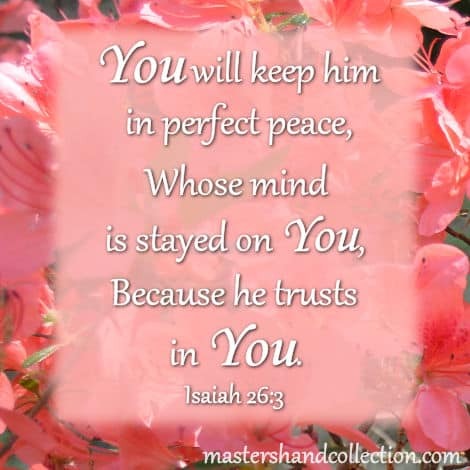 He is our safe place to stand when life becomes too much to handle. He will get us through the raging waters ahead. We will have struggles and disappointments in life and sometimes God may seem far away. But He is exactly where He has always been, right next to us, listening to our prayers, comforting us in our grief and helping us through the raging rivers of life. Seek Him with your whole heart and you will find Him. Your pictures with the hands are pretty neat. Combining sign language and words. I love the words of David because they are so truthful, full of real emotion, and even questioning. I can relate to them. By reading them and seeing how David prays helps me be honest with God in my own prayers. Thank you for your kind words and encouragement. I agree with you wholeheartedly, the words of David are something we can all relate to. God bless you! My journey with god has been with ups and downs. Sometimes He felt far away, other times close. He surprised me many times, I thought I’m far away and still He answered my prayers. Thank you for these reminders. Thank you for your honesty. We all feel like God is far away sometimes and I’m no different. 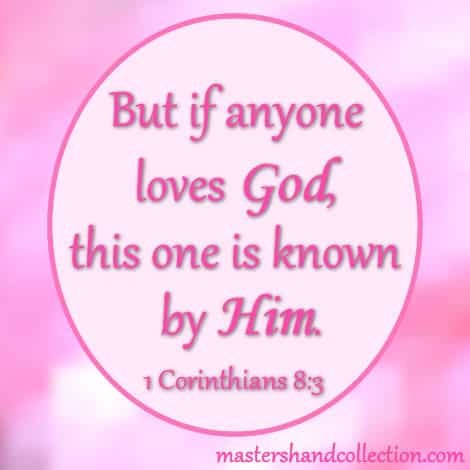 But God promises us that He will never leave us and He is always faithful to answer our prayers. Keep the faith! And may God bless you.